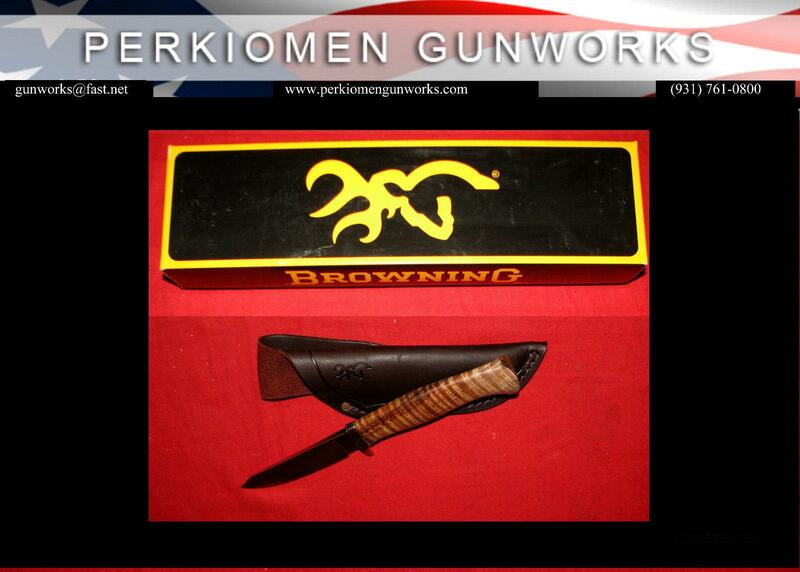 Historic Browning Knife – “Big” John Fitch Model 574 – Limited Edition of only 500 - Out of Production since 2009 - Each knife etched signature and numbered- Collectors Item!!! “Big” John Fitch brings a natural talent to the knife making industry. He teaches knife making at “Hammer-Ins” for the ABS across the country, and finished second at the 2003 annual ABS World Championship Cutting Competition and third in 2004. John takes great pride in the continual learning process of his craft and in his ability to make highly functional knives. 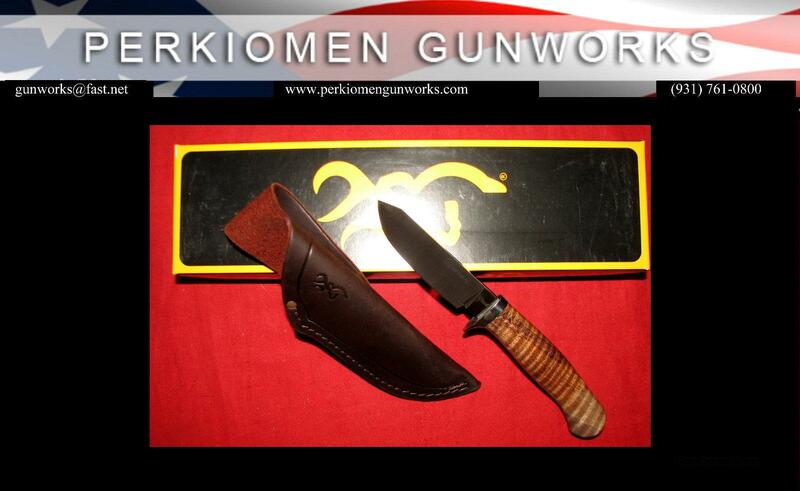 8 3/8” overall and 3 ¾” satin finish blade made in USA. Type - Fixed blade Blade - Short clip point, made from high-carbon steel with a satin finish • Laser-etched on one side Handle - Stabilized curly maple with stainless steel guard Features - Custom-made top-grain leather sheath See Photos. S&H $9.50 Priority Mail.